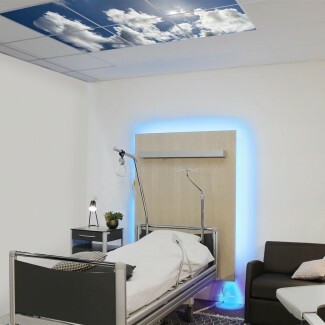 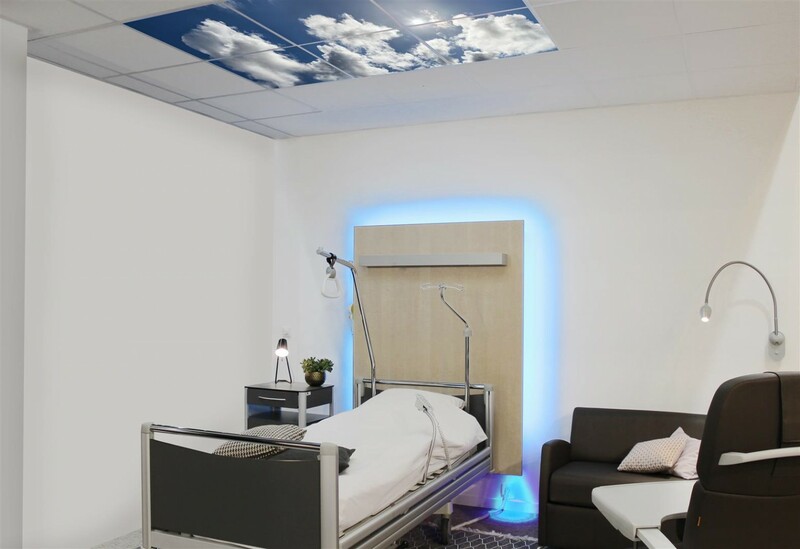 The sky ceiling lighting luminaire SKYDECO consists in printing images on the luminaire diffuser thus reproducing a realistic vision of the sky. 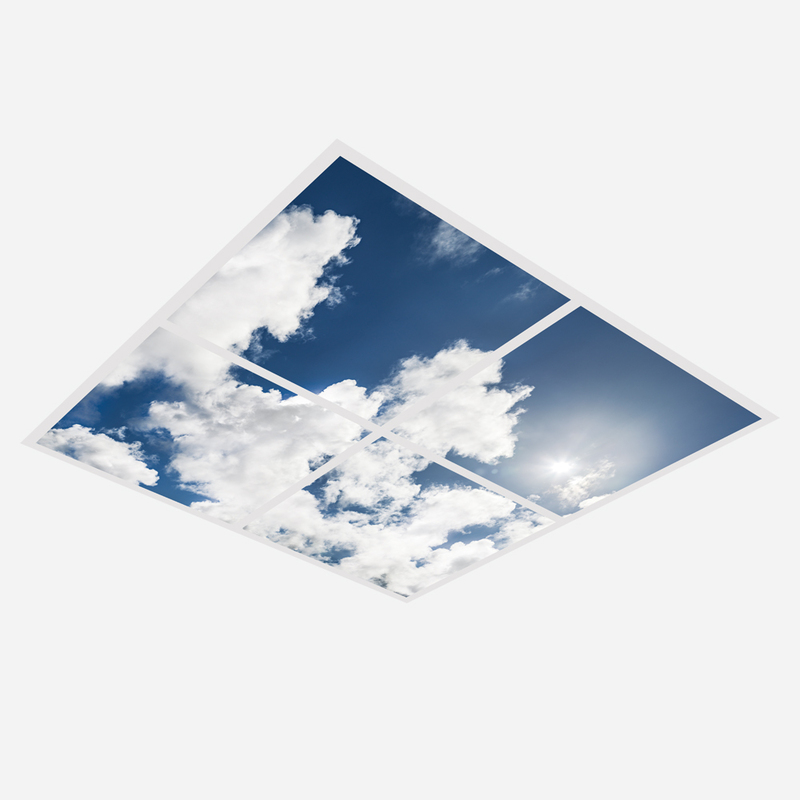 It is a 600 x 600 mm ceiling luminaire. 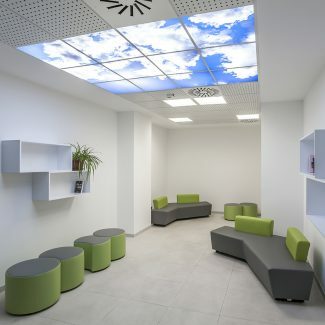 It also fits perfectly with standard size false ceilings. 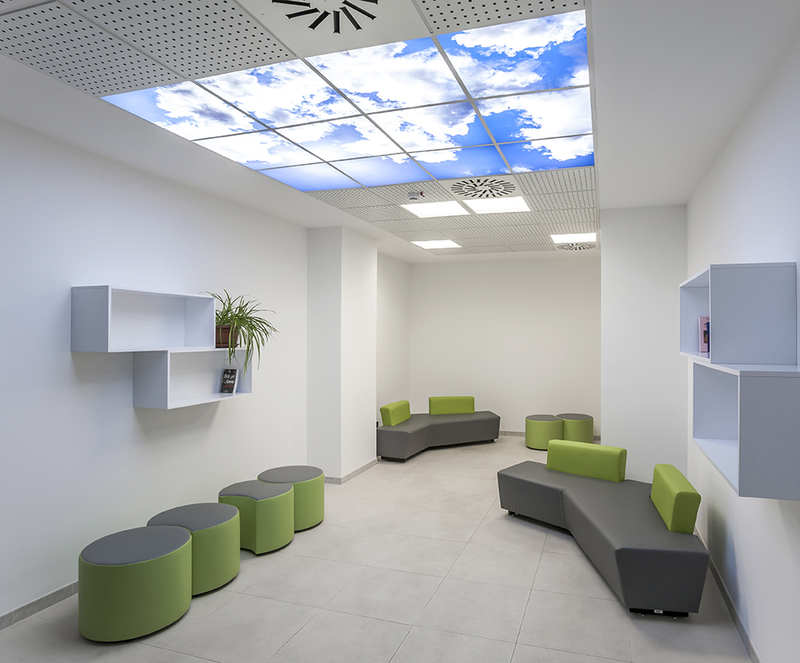 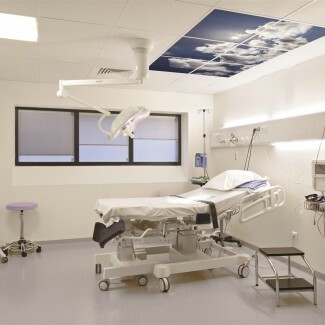 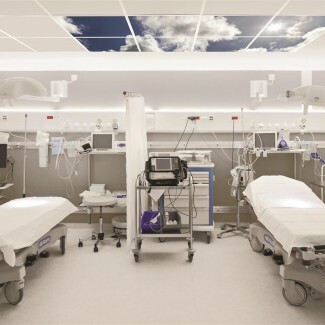 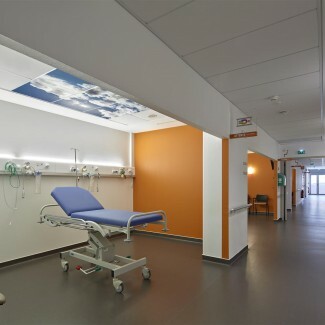 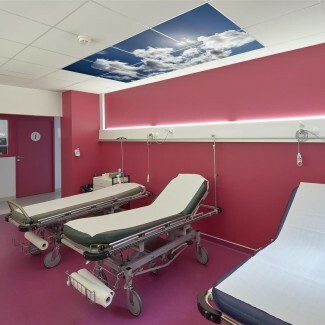 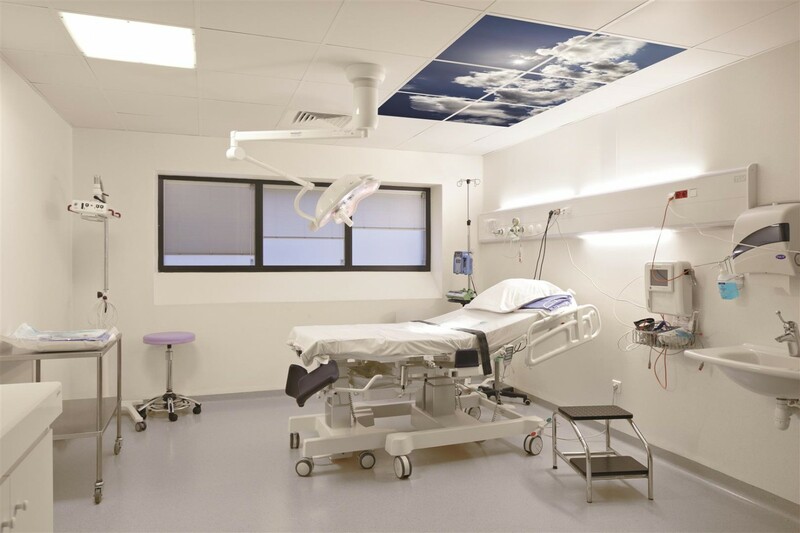 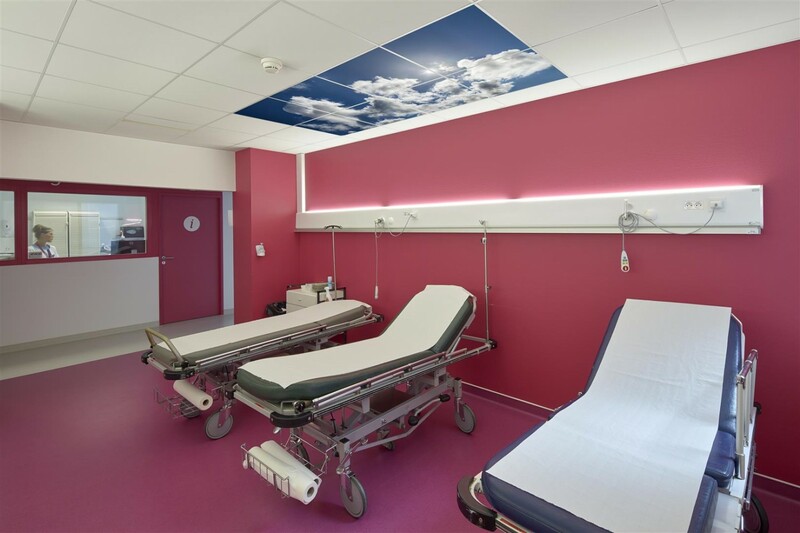 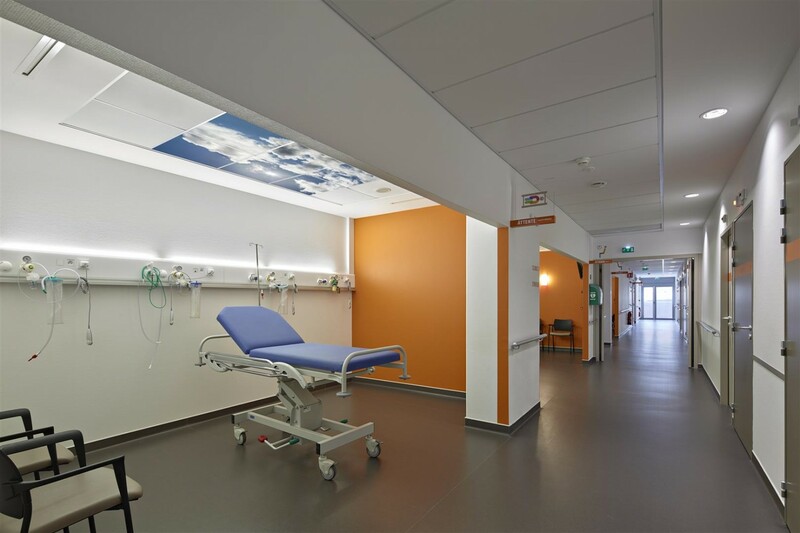 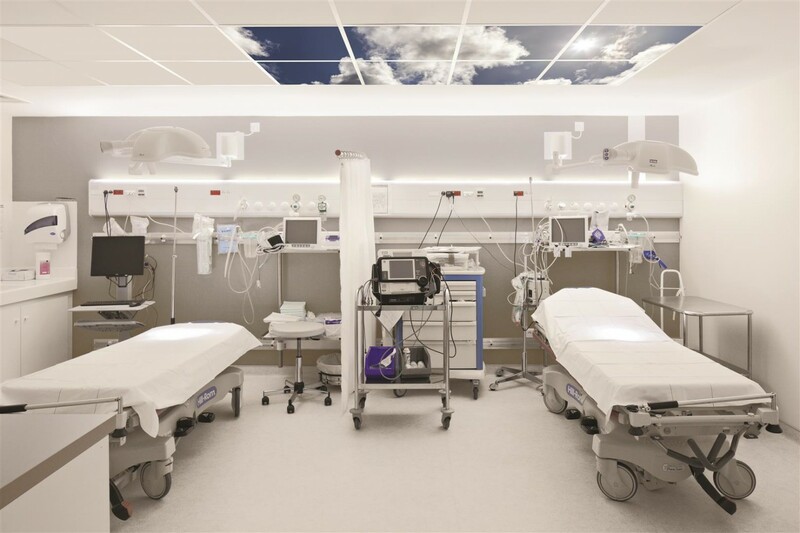 Patients and caring personnel enjoy a luminous and decorative add-on favouring well- being in the working spaces where there is no daylight.